There has been an overwhelming amount of bloggers bringing out product lines, along with beauty and fashion books. Admittedly I have bought some blogging/beauty/fashion books, Pretty Honest by Sali Hughes, Love Tanya by Tanya Burr and The Glam Guide by Fleur de Force, but I haven't been tempted to try the beauty products. Product Testing UK asked if they could send me an item over, it was a complete surprise what it was when it came, guess that's so you don't gather first impressions before trying the product. 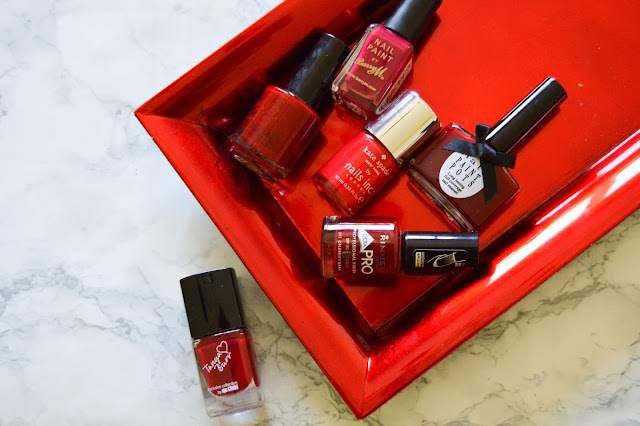 Inside the parcel was Tanya Burr's Nail Polish in Riding Hood. It's a standard mid tone red, which I already own so many of, this was a positive though, as I had plenty other options to compare it too. The bottle is very Chanel inspired with the chunky square design but, it does look and feel cheaper. I'm not really a fan of the design of the packaging, it's aimed at teens, so seems a little childish to me. I mean, Tanya did you really need to stick a crap heart sticker on the top? As for application and formula, I wasn't overly impressed. 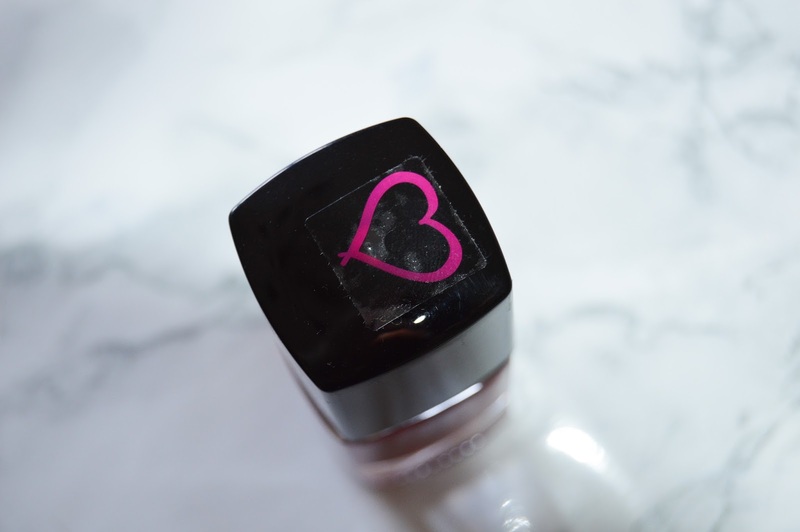 It was neither disappointing or amazing, it took two coats to become opaque, which is standard for most nail polishes. It's not too runny or gloopy and the brush makes for easy application. I wasn't impressed by the long drying time and actually smudged a few of my nails while waiting for it to dry. I much prefer my Seche Vite version of this shade, it just dries quicker and lasts longer. I'd say the Tanya Burr polish is on par with the Rimmel shade I have and Rimmel is easier to get your hands. Overall, this polish is just average! You can sign up to Product Testing here. It's a great colour but very similar to other shades! Thanks for the honest review, I'm always a bit reluctant to try 'celeb' products like this as i'm never convinced they are better than more established brands, but the Tanya Burr range does look nice. I'm always honest with my reviews! Blogger products aren't usually that high quality, I think you have hit and miss products in their lines, so some will be better than others! I love the shade of this polish, aside from th drying time, it looks good.